George Osborne announced in the last Summer Budget that the dividend tax credits system, which he described as “arcane and complex”, was to be modernised. Those changes have come into effect this week and will impact anyone expecting significant dividend income. Writing in the Financial Times last week, Adam Palin wrote; “Although the government has pledged that the new dividend allowance will not leave “ordinary investors” any worse off, the policy is projected to raise £6.8bn by 2020-21. 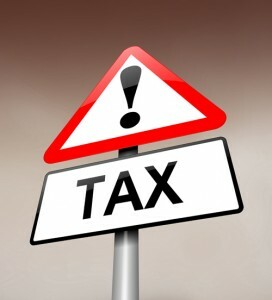 For many investors, therefore, tax must be rising.” The full article can be viewed here. ● Basic rate taxpayers receiving more than £5,000 in dividends a year outside of an Isa will now pay tax at 7.5 per cent above this amount. ● Higher earners who pay themselves more than £21,667 in dividends a year will be worse off. The government’s factsheet on the dividend allowance can be viewed here, however, if you are keen to assess exactly how the new rules will affect you, now would be a perfect time to speak to The Financial Planning Group about re-appraising your finances. To discuss your finances, or make an appointment to work out the right investment and pension strategy, please call us 0800 731 7614 or e-mail enquiries@fpgonline.co.uk.